Isn't hard to pick just one?? 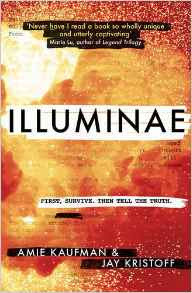 I just got Illuminae and can't wait to get to it. I live Furiously Happy. Armada is one I need to get to. It is hard to pick but this one just blew me away! I've heard so many great things about this one! I really need to get around to reading it. You should, it is excellent! I LOVED Illuminae and I'm excited for the sequel. I hope it's as good. I still need to read Furiously Happy! 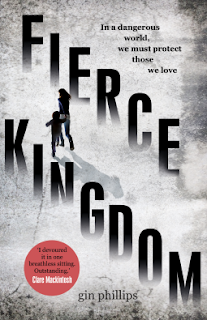 I can't wait for the sequel, I read a little about it on Goodreads and am so excited! I loved Furiously Happy and I've heard fantastic things about Illuminae. Must read it soon! You must, it is excellent! Illuminae was pretty dang good... and I saw a vid on Youtube about the book tour and they announced the title of the 2nd book. It's out there somewhere... great pick! I think it is called Gemina or something like that, I can't wait! Ooo sounds interesting! I had one like that this year as well. Lots of great reads but one was a jaw dropper compared to all of the others. Happy reading in 2016! It just stood out so much, nothing came close!